June 24, 2016 - No Comments! 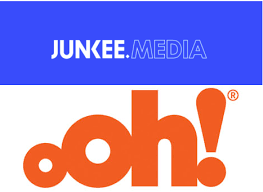 We're proud to announce that Junkee Media has been acquired by diversified location based media company oOh!media, representing an exciting new chapter for both companies. The acquisition bolsters Junkee Media as one of Australia's fastest growing and most innovative Millennial focused new media companies. oOh! 's Chief Executive Brendon Cook said the acquisition will not only provide advertisers more targeted audiences but also builds on its content capabilities as part of its digital and data strategy. Mr Cook said, “Native advertising is increasing in importance each year in Australia. This reflects trends in the US, where native advertising is growing at 17% per annum* [...] The acquisition of Junkee Media was the natural next step for oOh! as it is a clear market leader and have set the benchmark for native content engagement in a mobile and social world. Junkee Media is excited about the new opportunities and integrations that the agreement offers, while maintaining as a stand-alone enterprise with its existing management team including Mr Ackland, Publisher Tim Duggan, Junkee Studio General Manager Josh Rich and CIO Ian Grant remaining in place. With pride and excitement, Junkee Media looks forward to continuing on its current growth trajectory with oOh!media.